Hulu CEO Randy Freer in an interview with The Information said he "wants to drop some live entertainment channels to be able to create smaller bundles of live sports, news, and on-demand entertainment in ways to appeal to more viewers and reduce costs." This would not be a cut to their current live TV bundle, but additional smaller bundles with a common theme. Not everyone needs a bundle of 50 channels, so a smaller bundle focused around news, sports, or movies may pique the interest of many streamers, convincing them to upgrade from the basic on-demand package. The streaming firm launched the "Hulu with Live TV" package less than two years ago in an ambitious attempt to compete with the likes of Sling, Dish and Google. The live TV package has been successful, garnering over a million subscribers to date, but is still a far cry from the 20 million people paying for its on-demand package. Part of the strategy involves offering programs as on-demand content instead of live feeds. 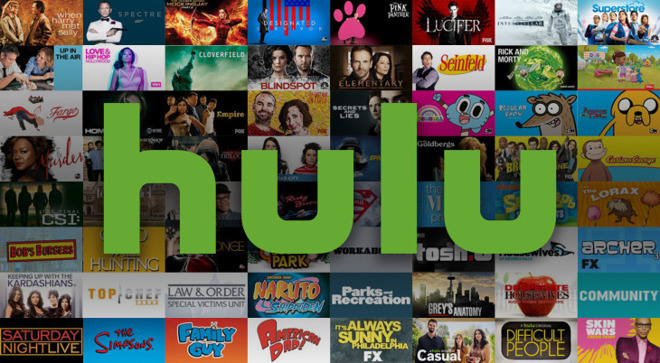 For Hulu, licensing costs make up the bulk of its expenses. Dropping certain channels to create skinnier bundles with new on-demand channels won't necessarily curb those costs, but it does allow the company to save on the expensive equipment required to stream live content. "The bundles are broken, and their channels are losing carriage," Freer said, adding that programmers like Fox, Discovery, Viacom and NBCU are now promoting select channels instead of marketing all available channels en-masse. "Some of these brands won't be strong enough [...] You won't need a live feed for all of them." Live content has attracted a healthy number of subscribers, but is still a loss leader for streaming purveyors. Hulu's losses climbed to $423 million in the June quarter, up 135 percent year over year. Google has had similar issues with its YouTube TV service. It costs the search giant $49 per subscriber per month for its skinny bundle, which is $9 more than it currently charges customers. Currently, media companies sell all their channels to a distributor bundled together. Hulu is interested in changing that to improve its flexibility and offer new, smaller bundles for sports, news and more. Original content is also set to substantially increase going into next year for Hulu, though not nearly to the same degree as Netflix. Unlike Netflix, which hopes to primarily stream content they create themselves, Hulu looks to be an aggregation hub for other media companies, sprinkling in its own productions. Live TV has been a differentiator for Hulu, where competitors such as Amazon and Netflix only offer on-demand options. New entrants Apple, WarnerMedia and Disney are all also expected rely mainly on on-demand content. Apple is widely rumored to launch a streaming video service next year, potentially bundling Apple Music and an upcoming news service with a slate of original video content. How the company intends to monetize the product is unclear. A report last week suggested Apple plans to make its own shows free to view via the TV app on iPhone, iPad and the Apple TV, while at the same time offering subscriptions for outside online services.